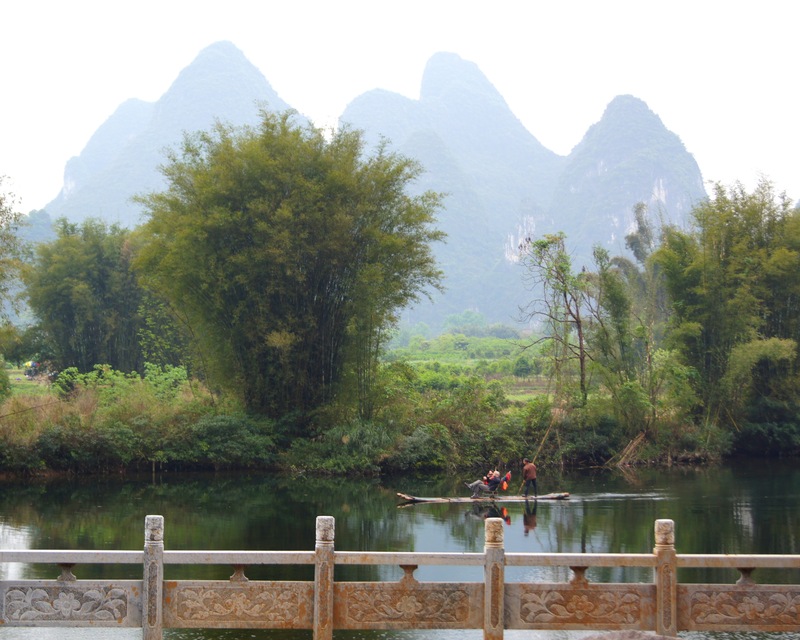 Yangshuo County is a busy Chinese tourist destination but serenity awaits the traveler willing to leave the beaten path. My brother John and I had the opportunity to visit Hong Kong in March 2013 thanks to a great Singapore Airlines promotion. Having been to Hong Kong before, I decided to see if there were any nearby destinations in China that would make for an interesting side trip. 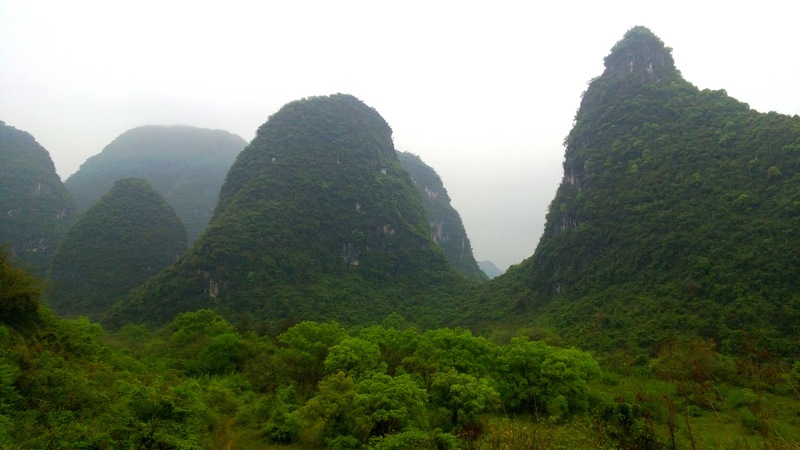 To my delight, I found that Yangshuo China, an area whose remarkable karst formations have fascinated me for many years, was only a one hour plane ride away. If you are inspired to make your own journey to Yangshuo, I’ve included tips and recommendations for travelers at the end of this post. Note: Pictures in this post are displayed at a size optimized for the best web layout and flow. Click on any picture to see a more detailed, full-size image. We traveled from the airport in the dark of night and could see nothing. When dawn finally arrived, this view of the Yulong river was the first thing we saw from the porch of our hotel room. Front gate at the Yangshuo Mountain Retreat, home base for our self-guided tour. We highly recommend it for travelers who want to avoid the bustle of the city and organized tours. 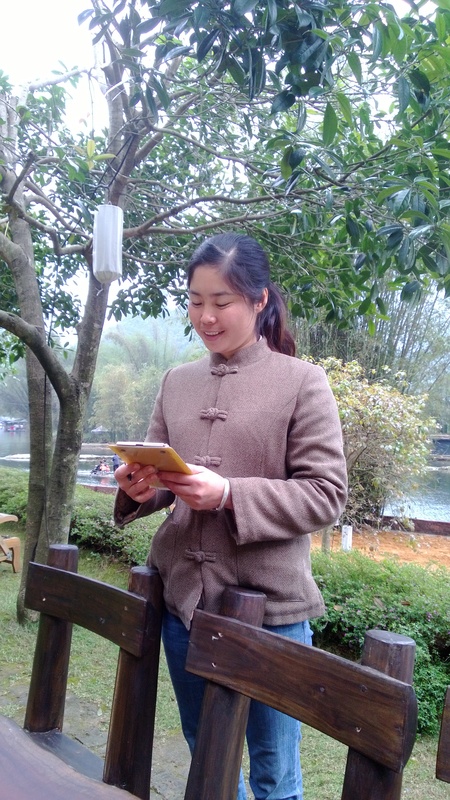 Like most of the employees at the Yangshuo Mountain Retreat, “May” is from a nearby small village. The sustainably run hotel offers employment and on-the-job training to the rural villagers of the region. As they gain proficiency in English, they have the opportunity to move from room service and maintenance jobs to restaurant, front desk, concierge and assistant management positions. 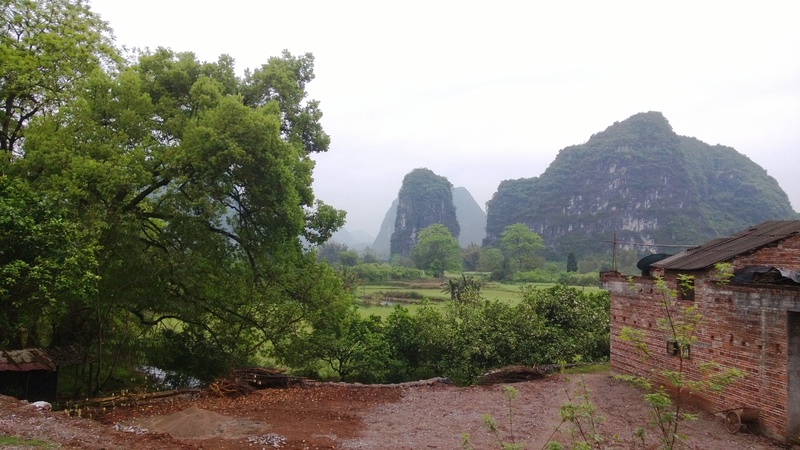 View from the outdoor dining tables in front of the Yangshuo Mountain Retreat. 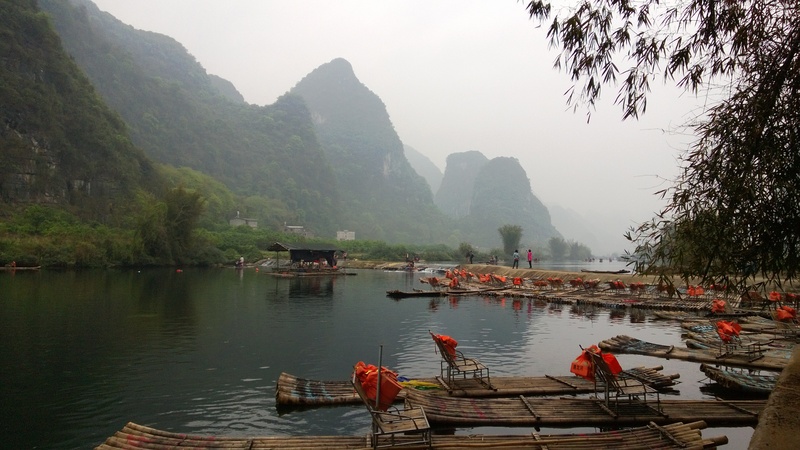 On rainy days, the Yulong river tourist rafts sport bright umbrellas. John stopped to help these construction workers load up. With their noisy 2 cycle engines, you can hear these trucks approaching from a long distance. 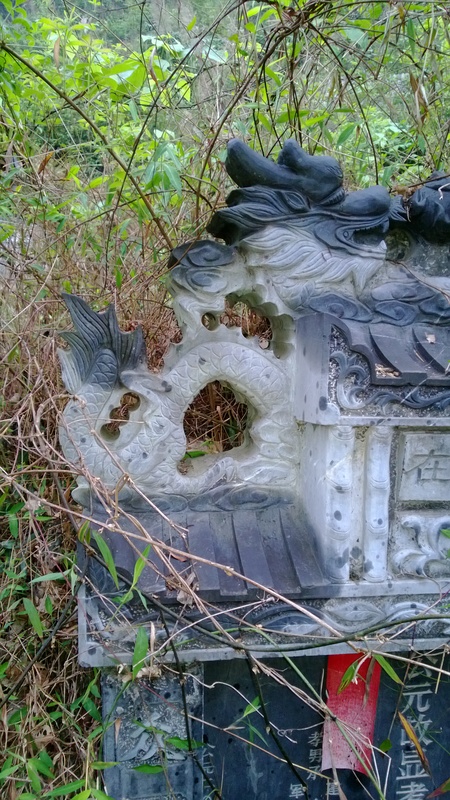 Dragon carving on a grave marker. 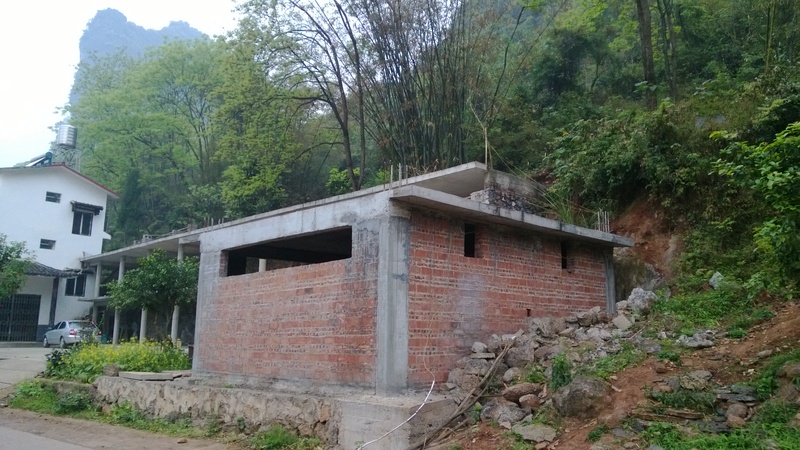 It’s common for the rural villagers to locate such graves along hillsides and rural paths in the Yangshuo area. I saw several while biking and hiking in the area. Yulong river raft base. Several dozen locals make their living poling tourists down the river. 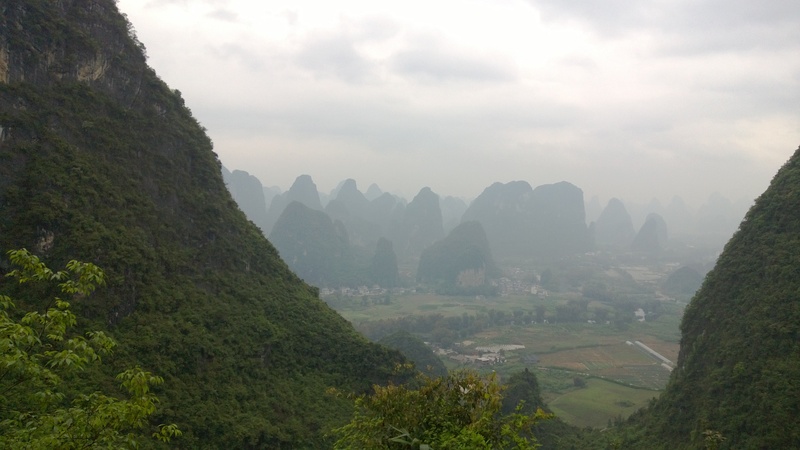 The Yulong River Valley, viewed not far from the Yangshuo Mountain Retreat hotel. We enjoyed making the acquaintance of many warm and friendly people on this trip. 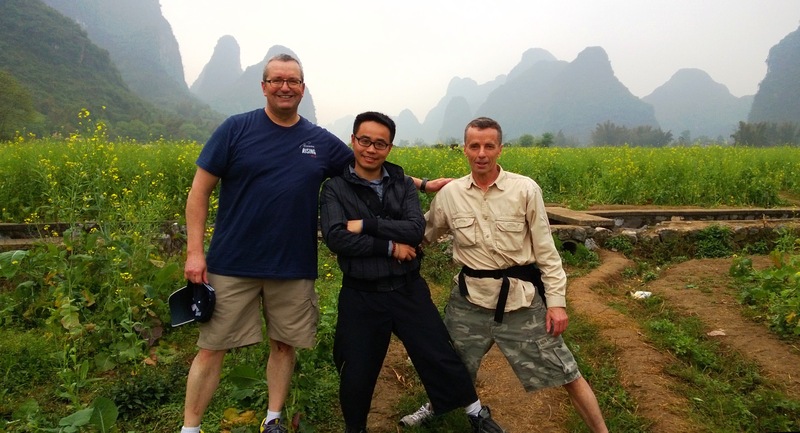 We were especially fortunate to meet up with molecular biologist Yisheng Sun while bike riding along the Yulong River Valley. He accompanied us the rest of the day and served as our translator. We found beautiful farms and villages when we left the main roads and rode our rented mountain bikes down rural tracks. Moon Hill is a popular tourist attraction, but the steep climb up hundreds of steps helps deter the large crowds of tourists found elsewhere in Yangshuo. 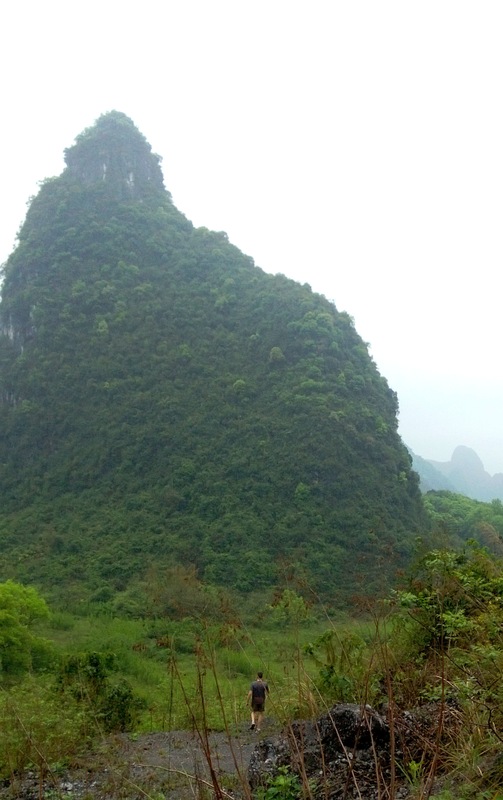 Moon Hill is a short bike ride from the Yangshuo Mountain Retreat. The view from Moon Hill. Unfortunately, we didn’t have a clear day on this trip. As a consolation, the mist and haze often made the landscape appear that much more mysterious. Posing with some fellow tourists at Moon Hill. The internal tourism market in China is booming. At the insistence of “Sally” a self-employed local tour guide who approached us on her electric scooter as we bicycled to Moon Hill, we visited Mud Cave, a typical tourist attraction. 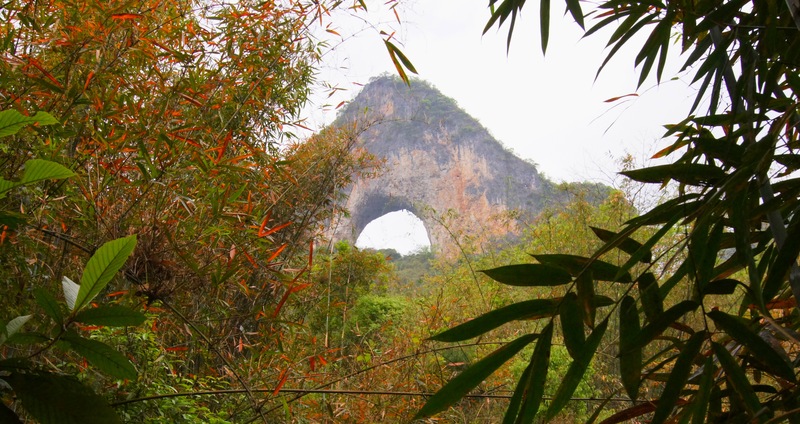 There are many caves in the Yangshuo area and this one had some nice formations and a cool underground waterfall. 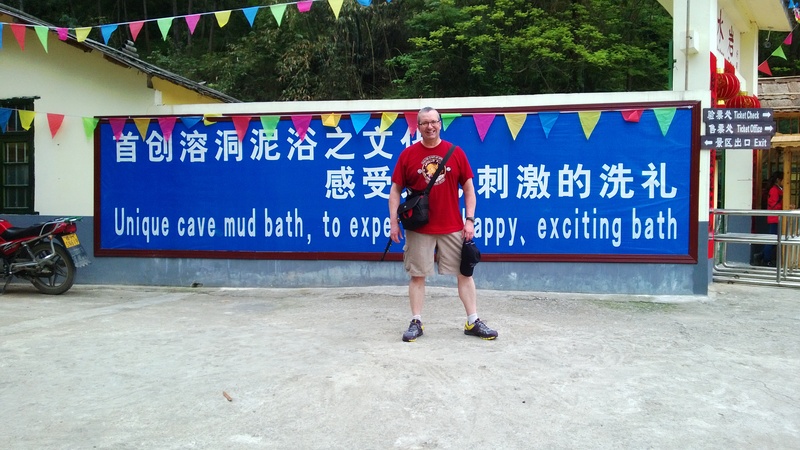 The final stop on the cave tour is the eponymous mud bath, which we enjoyed with some Chinese bus tourists. We didn’t speak each others’ language, but we had a good time together. The gateway to our hidden valleys adventure. Note the unremarkable path in the right bottom corner here. I spotted it while walking down the road and, looking to find some serenity away from the busloads of tourists at popular attractions, followed it. 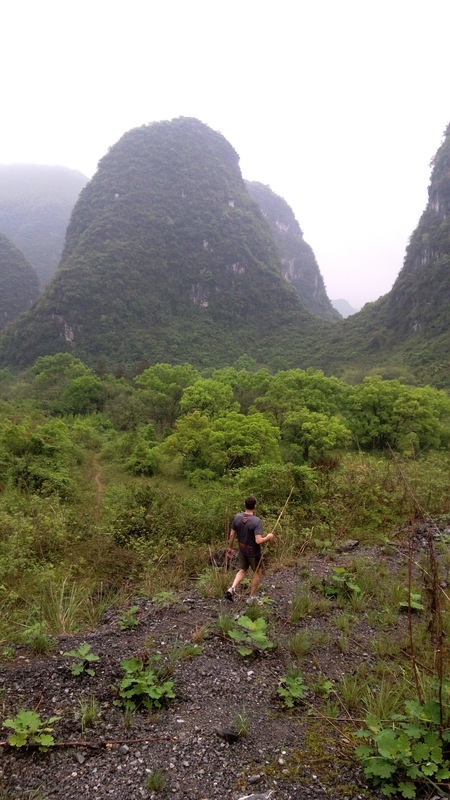 If you keep a sharp eye out while traveling the backroads around Yangshuo, you can spot paths like this one that lead into the numerous remarkable hidden valleys in the region. A tip for travelers: the geography can be a maze. Use the aerial view on apps like Google Maps on your smartphone to keep track of where you are in relation to nearby roads and you can easily find your way out. 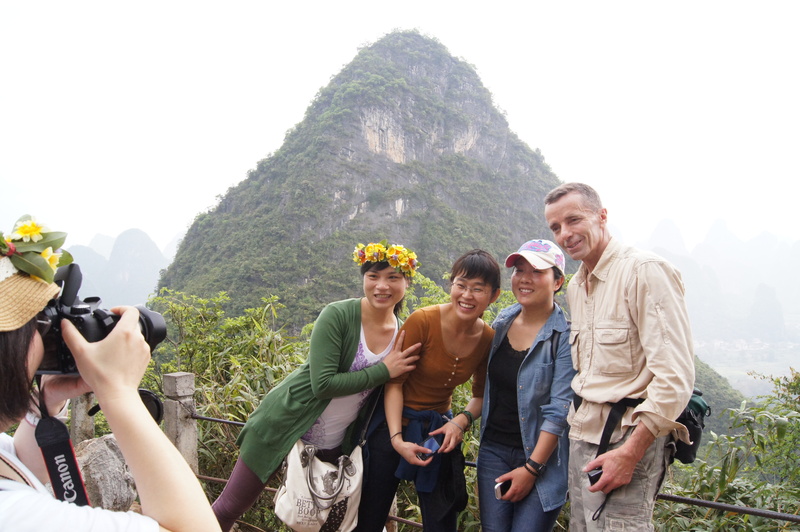 We encountered no other travelers once we left the beaten path of popular Yangshuo tourist attractions. Flowers among the hidden valleys. 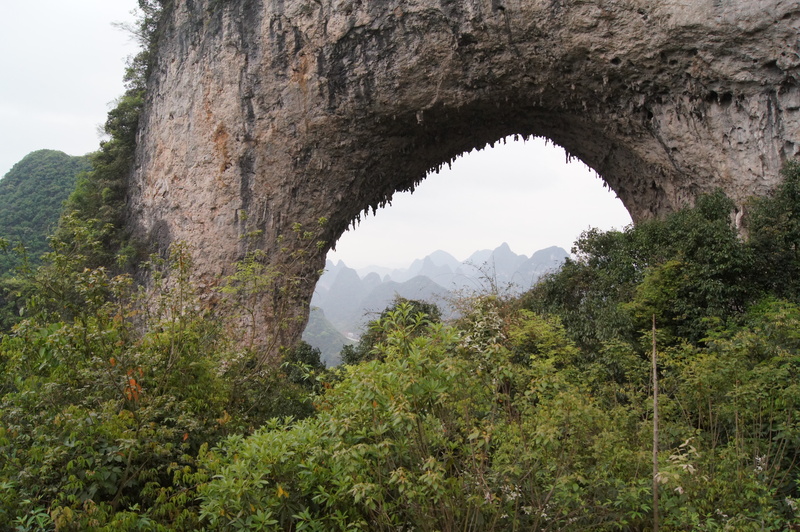 We were constantly awed by the variety of karst formations. It seemed that every hill and turn revealed a strange new shape. John, capturing a panorama of a spectacular hidden valley. This was a typical pose as we gazed up and around at the incredible scenery. Another tip for travelers: hidden in the vegetation behind me is a long deep crevice that appeared to be a cave entrance. The region is rich with caves and sinkholes, so step carefully when off-trail. The ride back to the airport was a tour in itself. 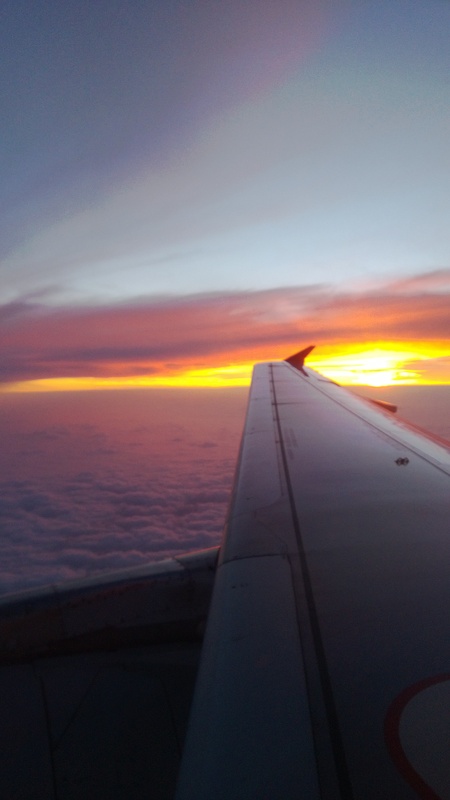 We enjoyed a beautiful sunset over China on our flight back to Hong Kong—a fitting end to a memorable trip. Most travelers will need a Chinese visa. Check with your local Chinese embassy or consulate for details—here’s a link for US citizens. Be aware that within the US, each Chinese embassy or consulate serves a set of designated states and you must apply to the embassy or consulate that serves your state of residence. We both live in states served by the San Francisco consulate. Our Hong Kong flight departed from San Francisco in the evening so we elected to fly in to San Francisco early in the morning and apply for same-day visa service at the San Francisco consulate. We successfully got our visas, but it entailed a lot of waiting in line, higher same-day fees and a risk that we would miss the cut-off time for applications. The next time I go to China I may consider using a 3rd party visa courier service. I booked a round-trip flight from Hong Kong to Guilin, the nearest airport to Yangshuo, on Hong Kong Airlines at Expedia.com. With taxes and fees, each round-trip ticket came to just over US $260. 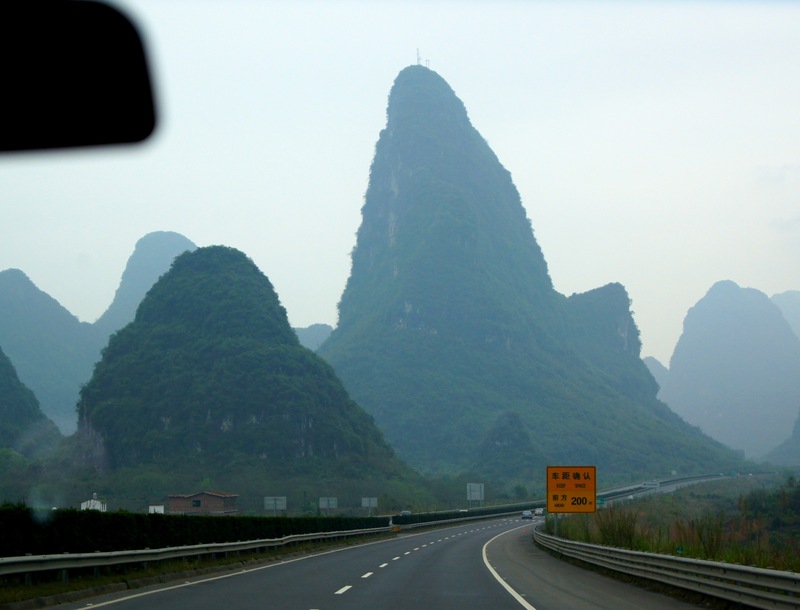 Because foreigners cannot drive in China without a difficult-to-obtain local license, you will need to arrange transportation from the Guilin Airport to Yangshuo. I emailed our hotel several days in advance requesting that they arrange for a vehicle. Just to make sure, I reconfirmed the arrangement a day before our arrival. 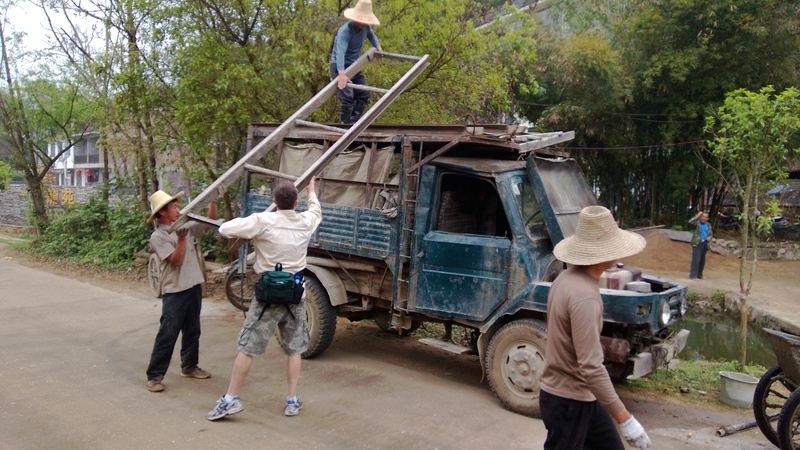 The van was run by an independent operator and we paid him 300 yuán ($49) in cash for a one-way 80 kilometer trip. 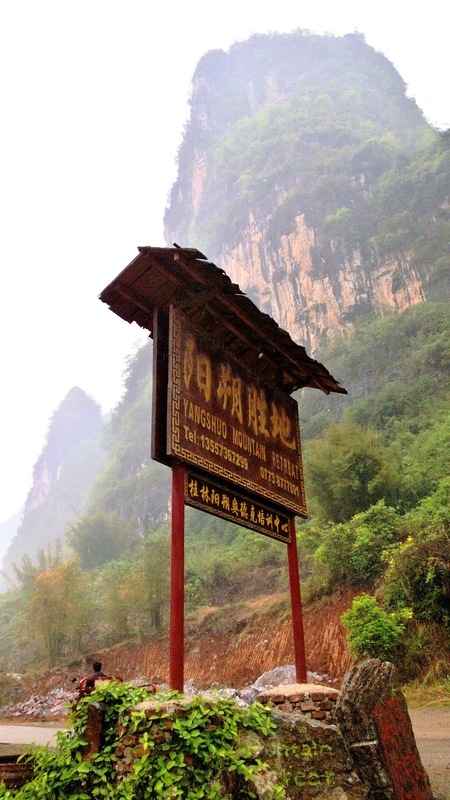 After researching TripAdvisor reviews and at the recommendation of a colleague I made hotel reservations at the Yangshuo Mountain Retreat, located in a rural area 9 kilometers outside the town of Yangshuo. 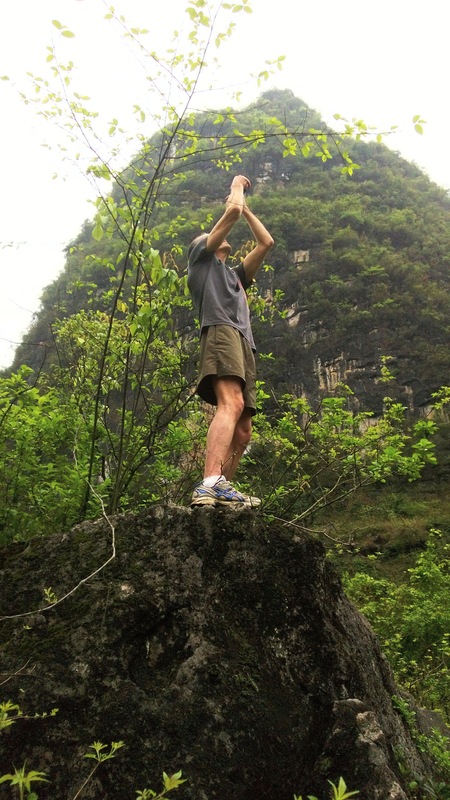 Email the Yangshuo Mountain Retreat directly to enquire about reservations. 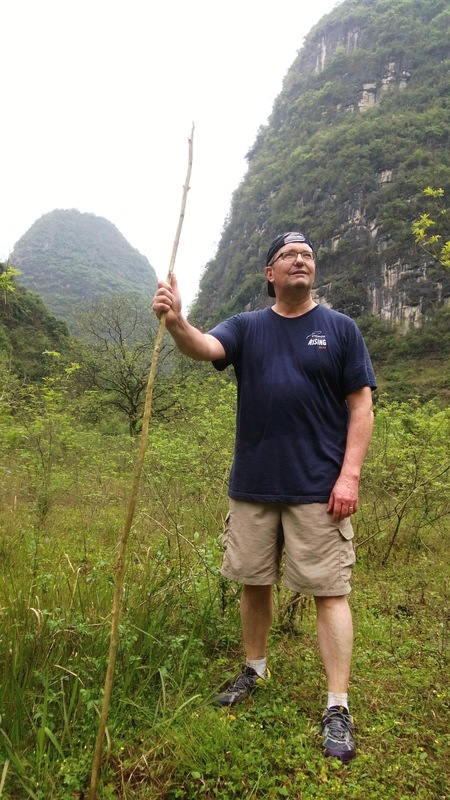 If, like us, you enjoy getting away from the crowds, meeting local villagers and experiencing nature on your own, I highly recommend the Yangshuo Mountain Retreat. If, on the other hand, you’re into shopping and trying out lots of different restaurants, you might want to stay closer to town. Although larger hotels and shops may take VISA and MasterCard, for the most part you will need cash in rural China. The renminbi (RMB) is the official currency of mainland China and the yuán, worth about $0.16 US, is its main unit of currency. You can find ATMs in the Hong Kong airport and city that dispense RMB. I was able to use my credit union debit card to withdraw cash in China but John’s USAA card didn’t work. The state-owned Bank of China has ATMs in the Guilin Airport and branches with ATMs in Yangshuo Town proper. Don’t expect to find ATMs outside of town in rural China. ← What’s in a(n online) name? 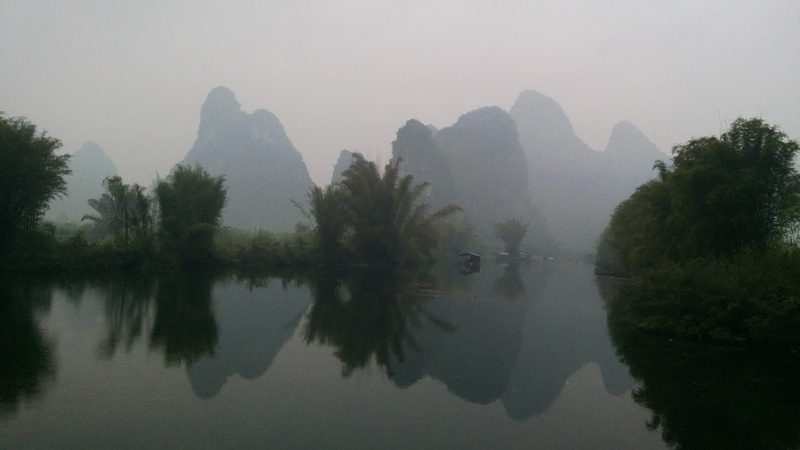 Yangshuo is a beautiful place, i have been there several times. biking, hiking, bamboo rafting on yulong river, or a cruise down li river from Guilin to yangshuo would be amazing ! Thanks for taking the time to comment. I checked out your photo link and Facebook profile. 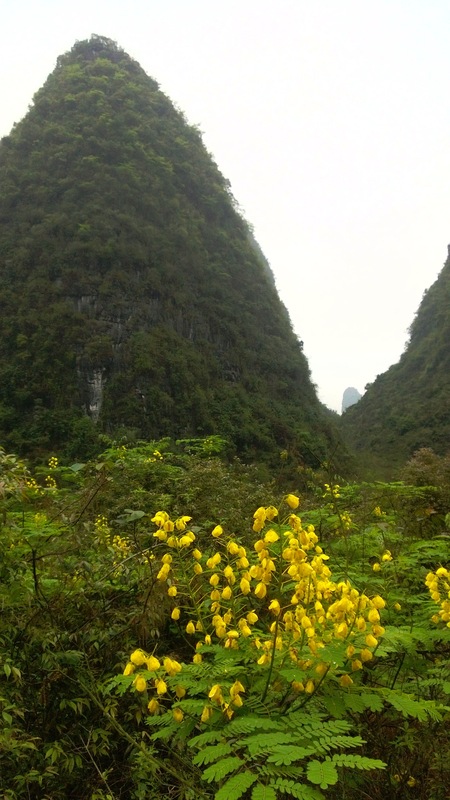 You have some amazing photos of the Yangshuo/Guilin area!